Sabic has invested in Dutch composites specialist Airborne International B.V. in a financing round that will contribute to Airborne’s full automation and digitization of composite manufacturing of goods that require less weight and higher strength for an array of industries. Existing shareholders also invested in the growth financing round. In numerous markets such as aerospace, automotive, oil & gas, consumer electronics and sporting goods, lightweight and durability are key industry drivers. Continuous fiber reinforced thermoplastic composite materials offer the potential to address these needs. Sabic’s composite thermoplastic solutions coupled with Airborne’s know-how potentially offers the unique opportunity to realize the mass production of lighter and stronger applications in a more cost effective way. Sabic’s investment in Airborne will enable the development of automated manufacturing process — with enhanced yields, cycle times and system cost — for composites applications made with high performance Udmax tapes. Airborne is a technology leader in the design, production and industrialization of advanced composite products for aerospace and marine sectors. Airborne is on a growth path to become the leading platform in composite automated manufacturing technologies. 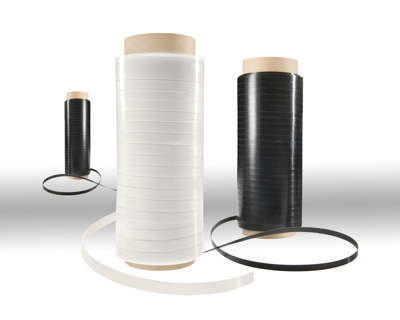 Sabic has taken a majority position in 2015 in unique technology for the production of high performance unidirectional Udmax tapes resulting in the formation of FRT (fiber reinforced thermoplastics). Sabic’s investment in Airborne will help enable Sabic to develop the next step in the value chain with realization of automated manufacturing for composites applications, with enhanced yields, cycle times and system cost.This is considered as a critical step towards broader use of continuous fiber reinforced composites in the market. “This investment and collaboration with Airborne will enable Sabic to take the next step in the commercialization of thermoplastic composites and help our customers to develop unique lightweight applications,” said Ernesto Occhiello, Executive Vice President Specialties Strategic Business Unit at Sabic. “A radical increase of the level of automation and digitalization as well as the availability of information throughout the supply chain will be a crucial success factor in the composites industry. Combined with the integration of information from material to product, this is the core of Airborne’s strategy. Joining forces with Sabic is an important step towards our new strategy becoming a frontrunner in automation and digitization of composite manufacturing. Attracting a preferred advanced chemicals supplier to invest in Airborne is a great confirmation of our strategy. We are very enthusiastic about the added value Sabic will bring to our company’s development and disruptive innovations,” said Arno van Mourik, Founder and CEO of Airborne International.